CPA, ICAA and IPA are three bodies of Australia which regulate and accredit accounting profession in Australia. 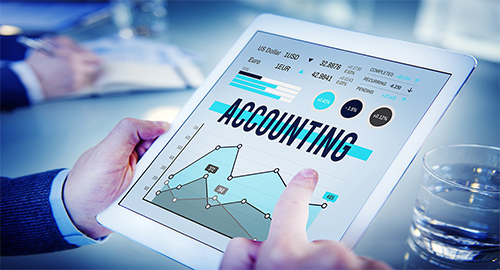 CPA and CA are two professional designations in accounting in Australia. Both the accounting qualifications take around 2 years to complete. There is a strict code of practice which one needs to follow. To be a CPA in Australia you need to have A Bachelors degree in accountancy. Then you need to complete a CPA program. In CPA program you do a Post Graduate study. One also needs to have 3 years of industry experience. CPA’s are required to have 120 hours of Continuous Professional Development every 3 years. Public Practice Program of CPA is also mandatory to work as an accountant. Chartered Accountants are members of ICAA- Institute of Chartered Accountants. You need to complete a post graduate study of CA. Along with this you need to have 3 years of industry experience. CPD of 120 hours every 3 years is compulsory. Both the professions have vast opportunities. It depends on your interest which one would you like to take. The CA content is more towards auditing and taxation matters. For a person wanting to pursue a career in a particular technical field CA may be a good option. For a person who would like to work in vaster domains like costing, production, marketing CPA may be a good option for them. To work as CA in New Zealand you need you have a recognised undergraduate degree program covering key competency areas recognised by CA ANZ. Then you need to complete a CA Program. The program has 2 modules. First one is Graduate Diploma of Chartered Accounting (GradDipCA). This program consists of five modules four of which are technical and final is a capstone module. Then you also need to have three years of supervised practical experience. You need to complete this experience to qualify for full CA membership. As an accountant you may also specialise in areas such as taxation accountant or a management accountant. One may work as a auditor, Accounts officer, finance manager, Quantity Surveyor. One may work in legal firms, marketing and business management companies, central and local government departments and organisations, financial asset investors. To become a Chartered Professional Accountant -CPA in Canada you need to have a undergraduate degree with specific subject area coverage for example a Bachelors of commerce in accounting. Then you need to complete a professional program which would equip you with skills required for CPA which is 120 hours of education. To gain work experience under the supervision of CPA is also compulsory. Your practical work experience must be relevant to develop as a professional accountant in a minimum of 30 months It must be appropriately supervised. You must record detailed reports at regular intervals. You must meet and discuss your progress at least semi-annually with a CPA mentor. Your experience is assessed by the CPA profession. You need to pass the common final examination and obtain license from the province you wish to practice. The three different accounting designations CA, CGA, CMA merged under a single designation CPA in 2012. One may work as an Account Manager, Auditor, Budget Analyst, Chartered Accountant (CA), Tax specialist, Cost Accountant/Manager and various other job designations.